Get up. Get out. Get HOOKED! 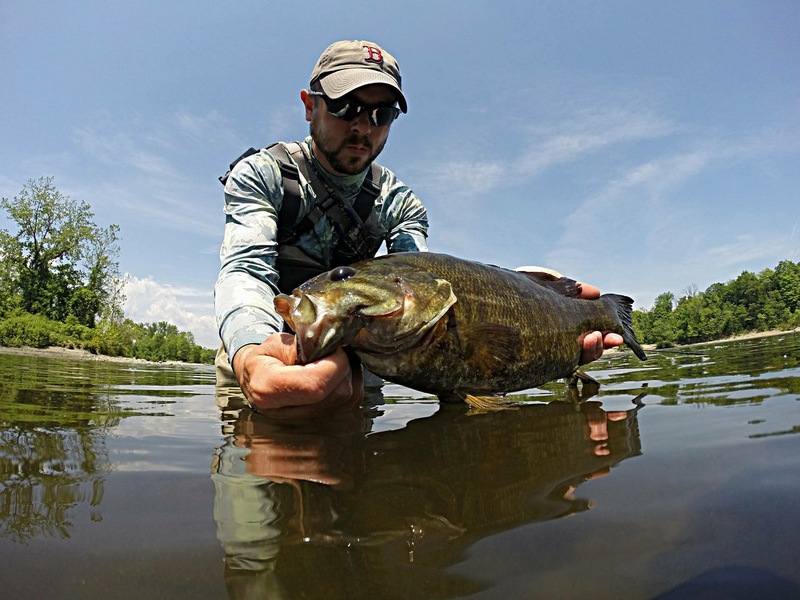 Click on any of the links below for more information to find the perfect fishing trip for you! Book a float trip today! Do you have a personal best you want to beat? 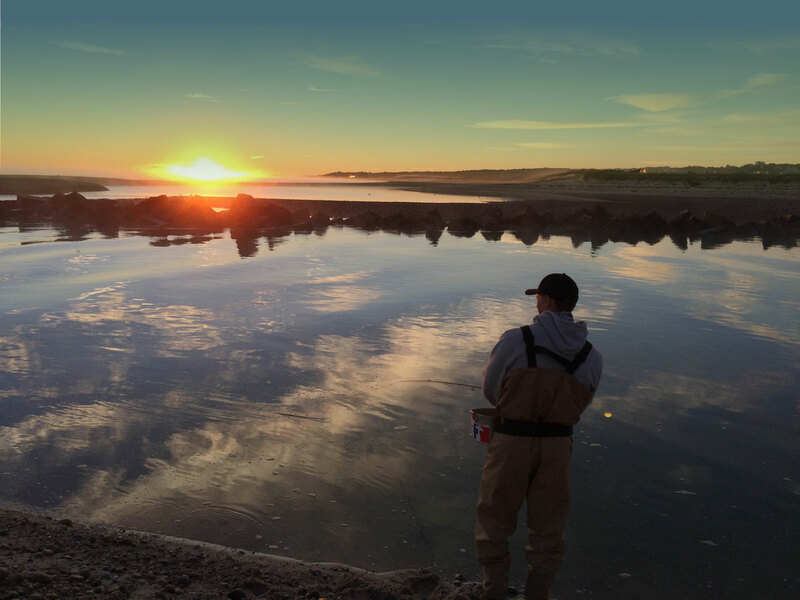 Trout, pike, bass, or striped bass, Early Rise Outfitters can get you there. As fathers ourselves, we understand that the best way to cultivate your child’s interest in fishing is to take them often, and to make sure they catch fish. We want to do everything possible to help develop the next generation of responsible anglers, and have decided to offer a Parent and Child Educational Trip package. We have the experience, patience, and passion to help teach the fundamentals of fly fishing to your young angler. We are dedicated to providing enjoyable angling adventures, with an emphasis on education and conservation. 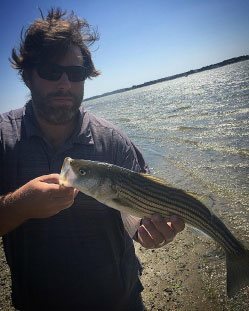 Here are some of our great clients telling you about their time on the water with us. I was having trouble catching fish on the Swift River. After hiring a guide who didn't produce even a nibble, I decided to meet up with Patrick. Within the first 5 seconds of having a fly touch the water we had a fish on! I knew it was going to be a great day from that point. We went on to catch about 15 fish that day. 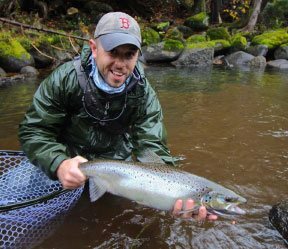 He helped turn a frustrating river into my favorite spot to fish in Mass. If I could recommend one guide service to teach anyone out there how to fly fish it would have to be Early Rise Outfitters. 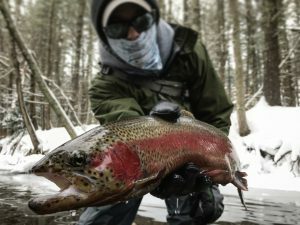 These guys have some serious trout knowledge and will provide you with plenty of fish brought to the net, not to mention some awesome stories and an unforgettable experience. I have now been able to go out with Patrick twice for trout and both times I have had many fish caught and many laughs shared. Wether you're a new fly fisherman or a seasoned vet in the sport these guys will teach you many new things and start up a passion that will last a lifetime! Here are some pictures that we have taken with clients, and when fishing ourselves. Come back often to check back for updates.